One Step From Eden fuses together deck-building with plenty of customisation and some fun looking action, it's also managed to get fully funded on Kickstarter. The crowdfunding campaign ended only a few days ago, with the developer Thomas Moon Kang managing to pull in support from over two thousand backers to hit seventy thousand dollars in funding. Thanks to this, it's going to release with Linux support sometime around October this year. 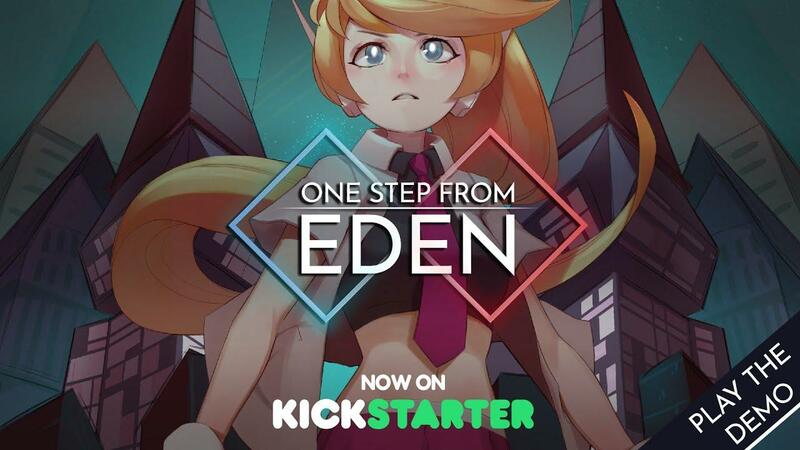 One Step From Eden combines strategic deckbuilding and realtime action with roguelike elements. Cast powerful spells on the fly, battle evolving enemies, collect game-changing artifacts, make friends or make enemies. Make it one step from Eden, the last shining beacon of hope in a bleak post-war world. Fight alone (or with a friend in co-op) and lead your character down a path of mercy or destruction. You can now follow it along on Steam. While Steam oddly doesn't mention Linux in the system requirements, the Kickstarter fully confirmed Linux support very clearly. Update: The developer told us that the Steam system requirements are just to reflect the demo status and "it will be updated for the beta/release". Soooo, indie Mega Man Battle Network with roguelite elements? Not my cup of tea, but I imagine BN fans will absolutely love this.